This article considers the key trends and changes in tax and social security rates for the 2015 tax year. After a period of generally increasing top-tax rates across many jurisdictions between 2008 and 2013 as a result of the economic downturn, it appears that very few changes to the rates have been implemented in 2014 and 2015. Figure 1 below shows the top tax rates for each of 14 CELIA Alliance jurisdictions surveyed. It is clear that Western Europe continues to have higher top tax rates than Eastern Europe, with countries in Northern Europe currently having the highest tax rates in the region. Over the last 4 years, despite limited changes to tax rates, European tax authorities have seen an increase in tax revenues (source: Taxation Trends In the European Union, European Commission, 2014). This seems to be primarily as a result of economic growth after the downturn and also increased compliance by companies and individuals when it comes to tax reporting. This increased reporting compliance has come about in part due to increased audits by the authorities, stricter non-compliance penalties being enforced and also simplifications in the tax reporting process for individuals and small businesses in particular. From a Social Security perspective we see a similar trend in that rates have not changed significantly since 2013. Figure 2 below shows total top-rate social security costs split between employee and employer contributions as a percentage of salary. Comparing this to Figure 1, we can see that there is a much more varied ranking of countries, with no obvious pattern between Eastern and Western European countries. It is, perhaps, expected that Denmark’s social security rate is lowest given that its tax rate is highest. France emerges as the jurisdiction with the highest employment costs overall (as a percentage of salary) when combining tax and social security rates. However, the rates alone often do not provide the full story when determining employment costs. Some jurisdictions apply caps to social security contributions and some do not. To complicate matters, some countries cap certain elements of their social security contributions and not others. It is, therefore, possible to have a country with a high rate of social security, but capped at an amount that means that the monetary contribution is not as high as other countries with uncapped lower rates of social security. 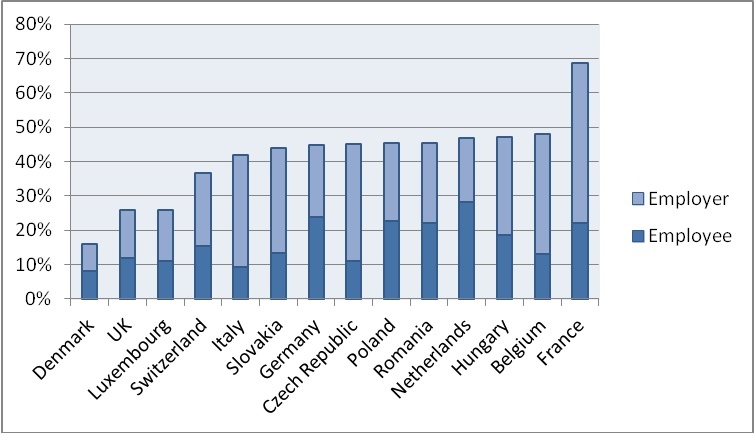 Figure 3 below shows which of the countries surveyed have capped social security contributions. One might expect the uncapped social security regimes to be the ones with the lower contribution rates, but the inclusion of Belgium and Hungary in this category contradicts this. The majority of the higher rate jurisdictions do fall in the capped or partially-capped contribution category which is understandable. 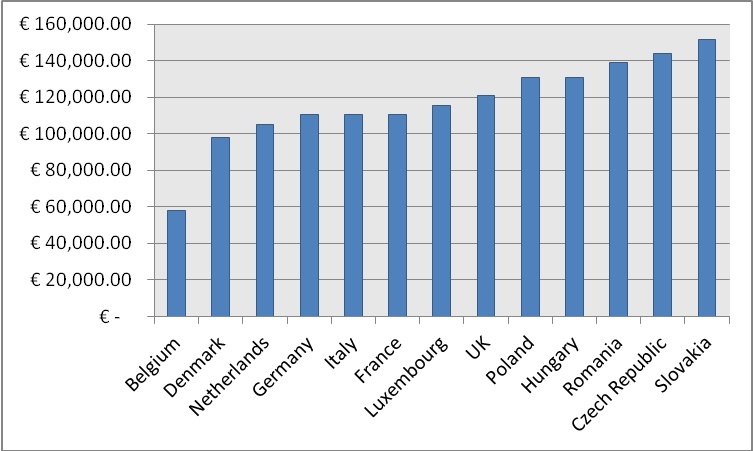 Analysis to determine the net salary of a single person earning EUR 200,000 gross per annum and ranked the locations surveyed from lowest to highest resulting net income. 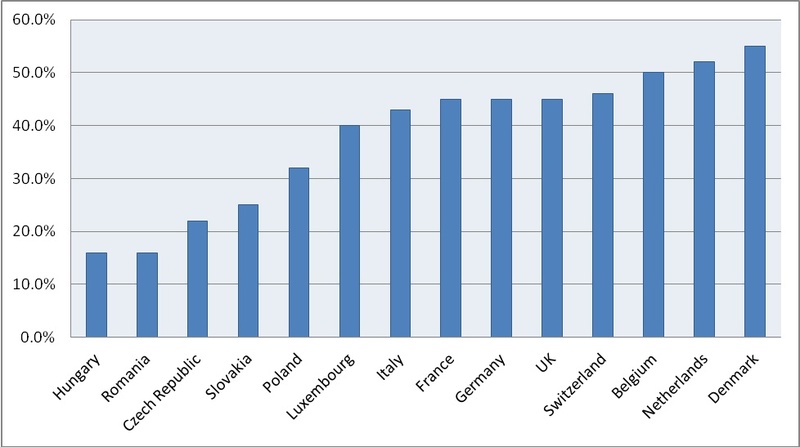 The employee would receive a higher net salary working in central and eastern Europe than in western Europe. This is primarily due to the fact that Poland, Romania, the Czech Republic and Slovakia have lower income tax rates and capped or partially-capped Social Security contributions (see our article: European Income Tax and Social Security: The Latest Trends). Hungary is the exception as it has un-capped Social Security contributions but the flat tax rate of 16% keeps the net salary in this scenario closely aligned to its geographical neighbours. In summary, there has been little change to the tax and social security rates across Europe in the last couple of years, although tax revenues have generally increased due to increased compliance and economic growth leading to higher employment rates. When it comes to income tax rates, there are clear regional differences within Europe, however, the same pattern is less evident when comparing social security contribution levels. Given the complexity of tax and social security calculations across Europe, determining the exact amounts for both will require bespoke calculations based on salary, caps to contribution levels, tax-free allowances and other rulings that may apply to the specific circumstance and have an impact on the final outcome. If you require further information or assistance on income tax and social security matters, please contact your local CELIA Alliance member firm who will be happy to help. Note: we have made various assumptions when making the calculations above to ensure the data is comparable across jurisdictions. For more information, please contact us.